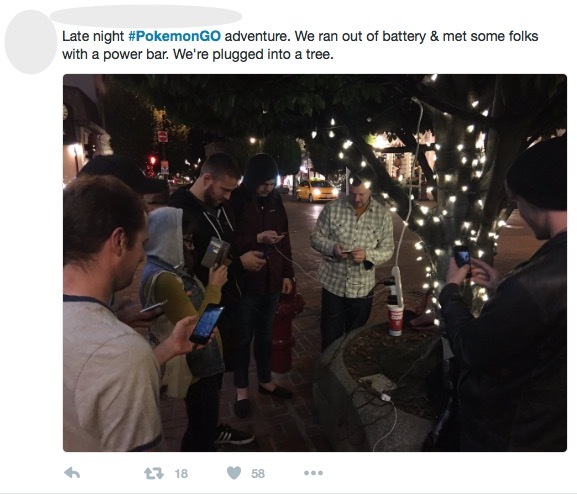 This is how one 32 year old described his use of Pokemon Go. In less than a month, it’s become the most successful mobile game in history. It’s already overtaken Tinder and is rumoured to have now reached Twitter growth proportions. 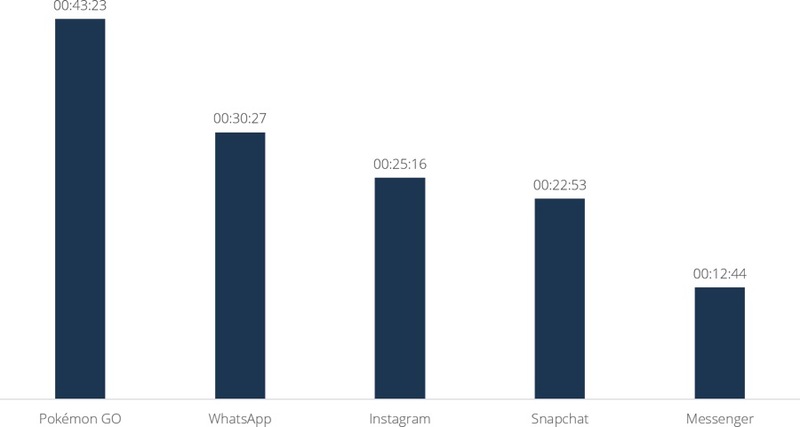 Usage time has already beaten other social media apps. Walking around, you’ll find Pokemon catchers of all ages and genders, often in small groups with big smiles on their faces. It seems to appeal to everyone. But what is it that makes this particular game so addictive? We went out to hunt down Pokemon Go users in Media City, Manchester, to discover what makes the user experience so addictive. 10 Reasons why Pokemon Go is SO addictive? A crucial factor that has a big role in the game’s success is nostalgia. The game is a real blast from the past. 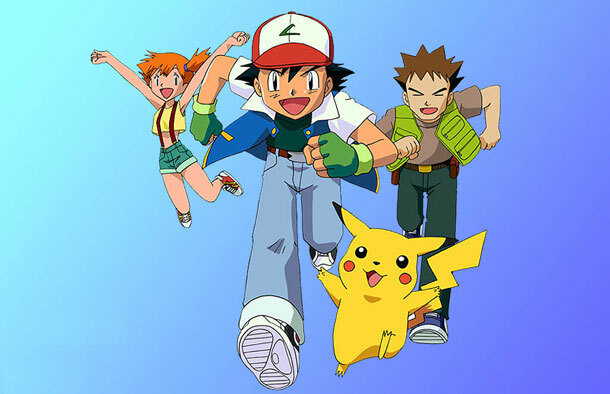 Fans that embraced Pokémon during their childhood in the 1990s are once again indulging in their old obsession. Nostalgia, is a powerful force in luring users to a new but familiar experience (let’s look at what’s popular in the cinema right now.… Ghostbusters… Batman vs Superman…). The adults that once loved the cartoon or played the video game on their game boy, now have the opportunity to re-live those old feelings that make them feel good. To the cries of “gotta catch’em all” people feel happy, they associate the words with their carefree youthful days of no responsibility and lots of fun. “The only way to deliver fun is to have players feel confident, give them a sense of exploration and connect them socially to others – on those three very important counts, the game looks like it’s succeeded” said Andrew Przybylski, psychologist at the Oxford Internet Institute. Studies on nostalgia show it increases optimism, inspiration, boosts creativity, and pro-social behaviour. Pokemon Go reminds you of the fun things you used to do and the people you used to do it with but it also helps you look forward to more fun times in the future. We all have in common the desire to be socially connected and to belong to a group – this is clearly seen with social media. But why? Throughout our lives, we all go through a complex identity construction process that entails a continuous practice and experience of the self, a role playing and a negotiation with other identities in order to define who we are. In this regard, sharing and socialising, it is necessary to find the inner self; social media is a unique stage to do this. It offers the opportunity to experience the self in many different ways than in the offline world – through images, videos, avatar, status etc – and in a context where we feel more in control of our actions and of other people’s feedback. In the same way, Pokemon Go gives you control of the interaction; it has the flexibility to let you play alone, or with other people. The anonymity and the de-individuation that typifies our society makes it challenging to interact and connect with other people in the offline world. The game offers the opportunity to connect with others over a common interest, making it a more spontaneous, low risk interaction. Twitter is full of stories about Pokemon Go‘s impact on anxiety and depression, with thousands of people praising the game for getting them out of the house and making it easier for them to interact with friends and strangers. Playing Pokemon Go is not just giving people the opportunity to make new friendships, it’s also strengthening existing relationships. A couple of co-workers told us how they’ve become much closer since playing the game together (we caught them playing it on a lunch time walk together), and one mum who was sat with her family told us that the reason she had started playing it was to get closer to her two sons and to enhance their relationship. It was something to talk and laugh about with them, it was something new that she had in common with them. There’s been a lot of talk about augmented reality and although it’s out there, many apps still do a poor job of creating an engaging experience. It’s often more of a marketing gimmick than a true enhancement to the user experience. 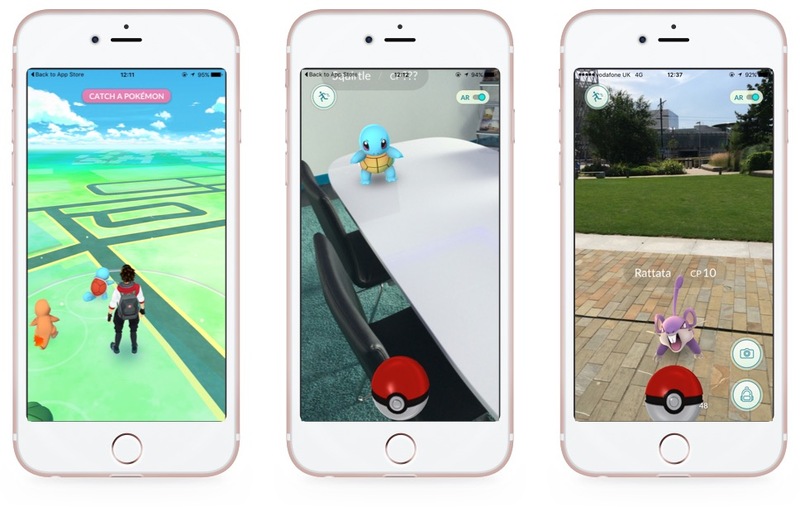 Pokemon Go embeds augmented reality very successfully – they’ve turned it into the main feature of the game. Augmented reality is ingrained into the user experience and makes the characters feel more alive. It’s successfully bridged the gap between the digital and physical worlds. Achievement is another key factor of the Pokemon Go success. Achievement and motivation are two strictly related concepts. People need to feel motivated in order to act, and motivation is boosted by achievements. 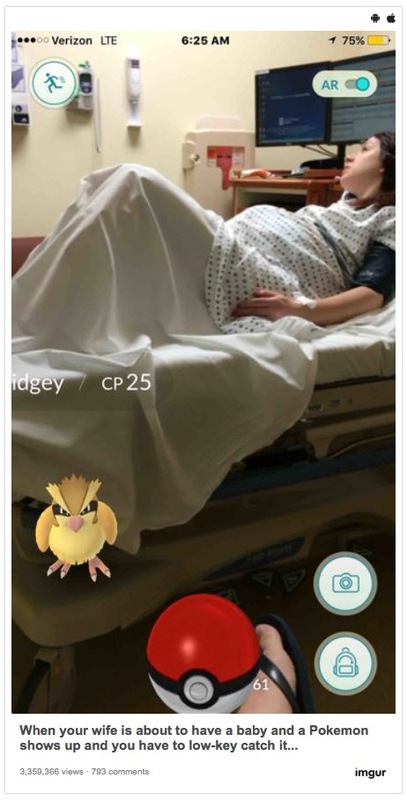 The self-confidence that arises from the achievement of a goal – catching a Pikachu – motivates people to play more and more…and Pokemon Go players are indeed very motivated, to the point of catching Pokemon whilst their wife is giving birth! The achievement experience is the fundamental mechanism of the entire Pokemon Go game. And it’s such an easy goal to achieve, that you can’t stop yourself. The ease with which the reward comes every time your phone buzzes, alerting you that a Pokemon is nearby, is very basic psychological conditioning. Catching Pokemon means you have to get out and about, in effect, you have to exercise. It’s well documented that exercise has a positive effect on both the mind and body and that many people find it highly addictive. Plus, walking around also helps people’s physical health – lose weight and get fitter. All these feel good factors contribute to the addiction. It’s a game and it’s fun to play. You could go for a walk to the park or you could go hunt Pokemon at the park, which you’ll likely find much more fun to do and you’ll probably bump into other players whilst you’re there. Slot machines are so addictive because they give intermittent variable rewards. Social networks are addictive for the same reason. Pokemon Go uses the same reward model. Variable rewards are one of the most powerful tools to ‘hook’ users. Research shows that our feel good hormone, dopamine, surges when the brain anticipates a reward. Introducing variability multiplies the effect, creating a hunting state that activates the parts of the brain associated with want and desire. The rewards in Pokemon Go aren’t predictable and as you chase that Pokemon there’s also the fear of not catching it: the psychological ‘fear of missing out’ (fomo) coupled with the excitement of the anticipation of catching that Pokemon. It’s the anticipation that often gives us the biggest dopamine hit. The timing of the launch of Pokemon Go couldn’t have been any better. In the UK, half of us still are depressed about brexit, there’s real uncertainty and fear of what’s to come and in the world there’s been numerous terror attacks. A little escapism is much welcomed! Where Brexit divided the UK as a nation, Pokemon Go is bringing us back together. How do users want to improve Pokemon Go? Whilst chatting with Pokemon Go users, we also found out what’s annoying them the most – server issues! Everyone said this was the most frustrating issue with the game at the moment. The gyms also seemed to be a little confusing for some people who didn’t really know what they were supposed to do. Younger people wanted more features, more Pokemon and greater access to gyms. Analysing the psychology behind the game mechanics and the user experience, we don’t see any reason for the current addiction to decline. Need help to create an engaging gaming app user experience? Our UX experts specialise in psychology and designing engaging mobile user experiences that create a sense of flow. Our expertise in mobile interface and experience design goes back to the first ever Ericsson smartphone, so your mobile app is in the safest of hands with us. Email us now at [email protected] for your complimentary initial consultation.